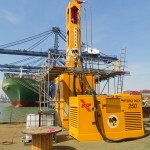 Available to hire, hydraulic piling hammers are an economical solution for the installation of all types of steel, timber or concrete piles in either land or marine environments. 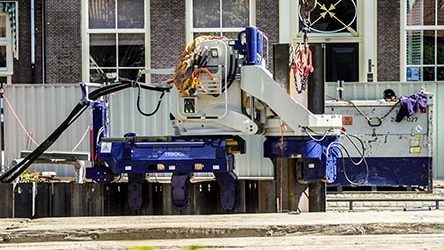 The versatile design allows operation by crane suspension, from piling rigs or leaders and can be via an existing power source, or by separate power pack. Energy outputs range from 20kNm to 520kNm making them ideal for cohesive soils, very dense granular soils and soft rock. 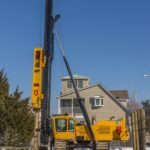 The NL range of piling hammers are designed for driving precast and cast in-situ concrete piles, casing piles and sheet piles into cohesive soils, very dense granular soils and rock (depending on strength). 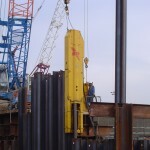 The SL range of piling hammers are designed for driving sheet piles and small bearing piles of concrete, steel or timber and is suited to cohesive soils, very dense granular soils and soft rock. The CX series is designed for driving a wide variety of bearing and sheet piles. Suited to cohesive soils, very dense granular soils and soft rock. 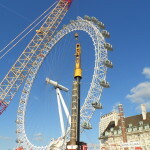 Suited to cohesive soils, very dense granular soils and soft rock the CG range is designed for driving a variety of bearing piles including steel tube, combi piles, ‘H’ piles and reinforced/pre stressed concrete piles.